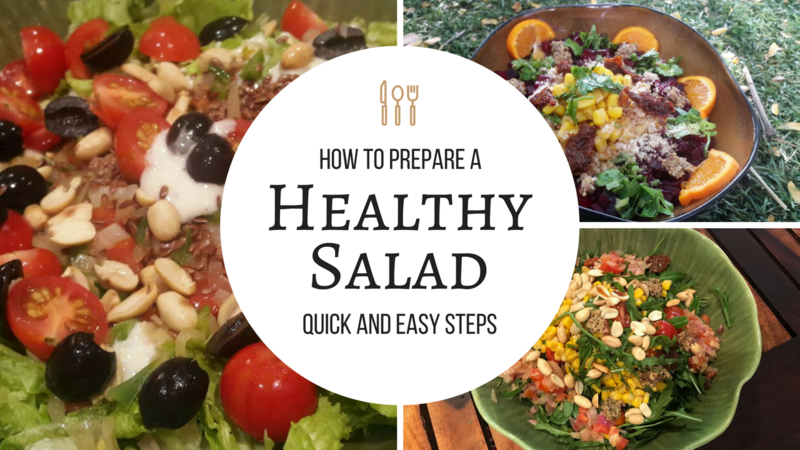 Salads are easy to prepare and tour recipes are a delight to your taste buds as well. Among the top salad recipes, special mention should be made of the following which involve ingredients which are easily available in your pantry and are easy on your wallet. 1. Spinach and Vegetable Salad: This is a refreshing choice for summer which is healthy and tasty at the same time. Ingredients: ½ bunch of baby spinach cut into fine shreds,1 capsicum, 1 medium sized tomato, 1 medium sized cucumber, ½ cup cabbage shredded, ½ cup chopped spring onion, olive oil, juice of one lime, salt and pepper. Preparation: Combine all the ingredients together. Add olive oil and lime juice for salad dressing and also add salt and pepper of your choice. 2. Greek Salad: This salad combines a lot of colors and looks pretty and tastes delicious too. Ingredients: Tomato, cucumbers, low fat greek yoghurt, olives, oregano, lemon juice, olive oil, cherry tomatoes, bell peppers. Preparation: Combine all the ingredients and toss well and serve chill. 3. Watermelon and cucumber salad: This is a summer fresh salad combining both vegetables and fruits. This salad if consumed daily will keep a watch on your weight. Ingredients: 1 cup diced melon, 2 cups of cucumber,1 cup sliced onions,2-3 tsps pomegranate juice, salt and pepper to taste and a dash of mustard. 4. Apple Pear and Orange Salad: This is a low fat refreshing salad and hence a favorite with the weight watchers. Ingredients: 1 medium size apple,1 pear, 2 oranges ,1tbsp pomegranate seeds and lime juice to taste. Preparation: Cut apple and pear into small cubes, keep an orange aside, peel orange and cut to small cubes. Take the juice of the other orange, add fresh lime juice to it and add that to the rest of the ingredients. Serve it chill to get the best taste. 5. Water Melon, tomato and Avocado Salad: This salad is a summer time special and acts as a summer coolant. The combination of tomato and melon may sound a little weird but actually if you try it, you will understand that their tastes and textures complement one another superbly. Ingredients: A cup of seedless watermelon cut to cubes (reserve the juice for future use), extra virgin olive oil, onions and one tablespoon of sherry wine. A pinch of cayenne, one cup cilantro or parsley. Preparation: Combine watermelon, scallion/onions and salt in a bowl. Whisk together watermelon juice, vinegar and cayenne and gently combine with salad. Garnish with the herb of your choice. © Copyright 2017, Vidhi Beri. All rights reserved.